Carry this luck charm with you always and the goodness you do for others can multiply and circle back to you and can bringing luck, eternal happiness, an abundance of treasures and everything you desire. Hand carved jade or jade-quartz circle. 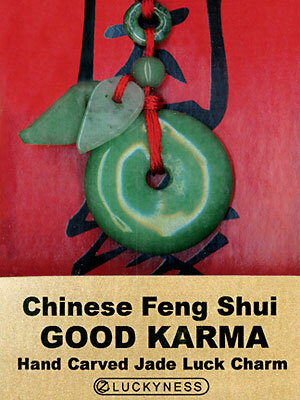 Eternity Circles reflect Good karma and Good Luck.